At some point during Fred Sasakamoose’s first visit to New York in the fall of 1953, he found himself in a radio station studio. At 19, Sasakamoose was a junior hockey star from Saskatchewan. 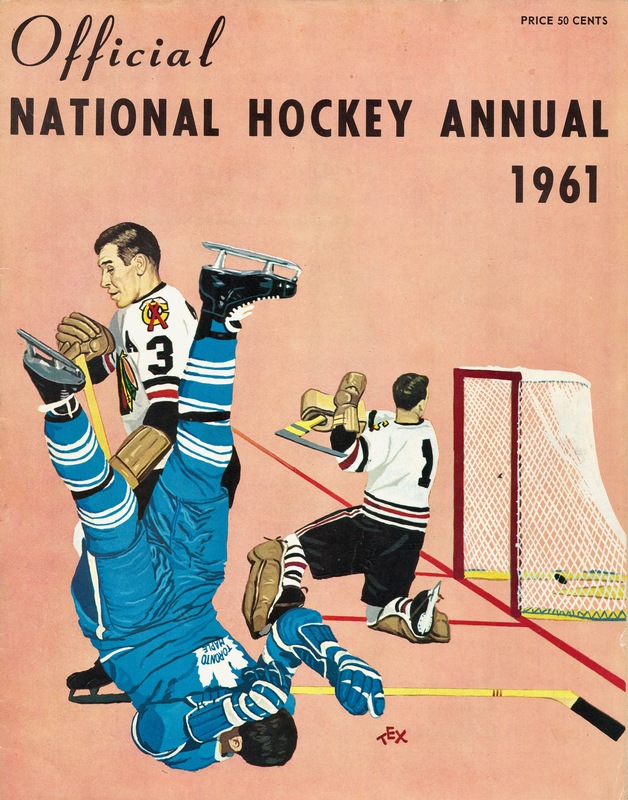 Speedy and ambidextrous, he was about to make his NHL debut at center for the Chicago Black Hawks. He was also a novelty: one of the first Indigenous players in the league. He remembers the gifts he was given at the studio, cigars and a transistor radio. And he remembers being asked, for broadcast, to say something in Cree. “They wanted me to talk Indian,” he said. He obliged, thanking the interviewer and saying he had never been to New York before. It was just a few simple sentences, but Sasakamoose struggled, on air, to summon his own language. Home, then and now, was Ahtahkakoop First Nation, in Saskatchewan, but in 1953 it had been years since he had lived there. 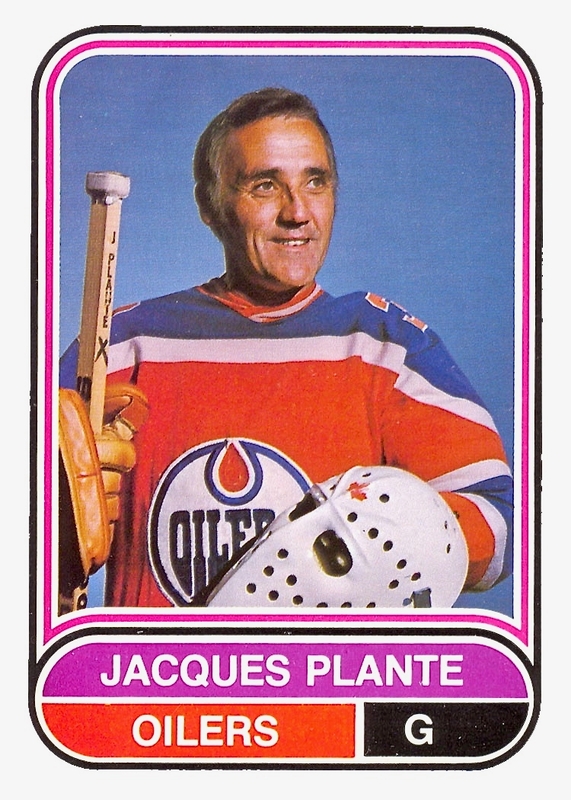 Hockey had planted him in Moose Jaw, and before that he’d spent a decade 60 miles from home at St. Michael’s in Duck Lake. one of Canada’s notorious residential schools where the mandate was to erase Indigenous language and culture. In May, Governor-General Julie Payette inducted Sasakamoose as a Member of the Order of Canada, the nation’s highest civilian honor. 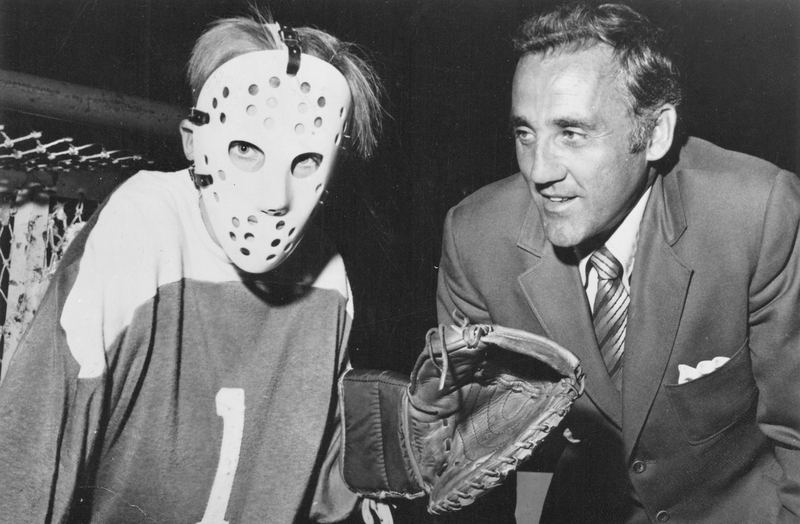 Revered as a hockey trailblazer, he has worked tirelessly over the years with youth in his community and across the country. Sasakamoose said he was humbled by the honor. Proud as the moment is, it is impossible to consider Sasakamoose’s life and career without reflecting on the historical scarcity of Indigenous players at the top levels of the game that Canadians so fervently claim as their own. First Nations peoples, Métis and Inuit make up 4.9 percent of Canada’s population. 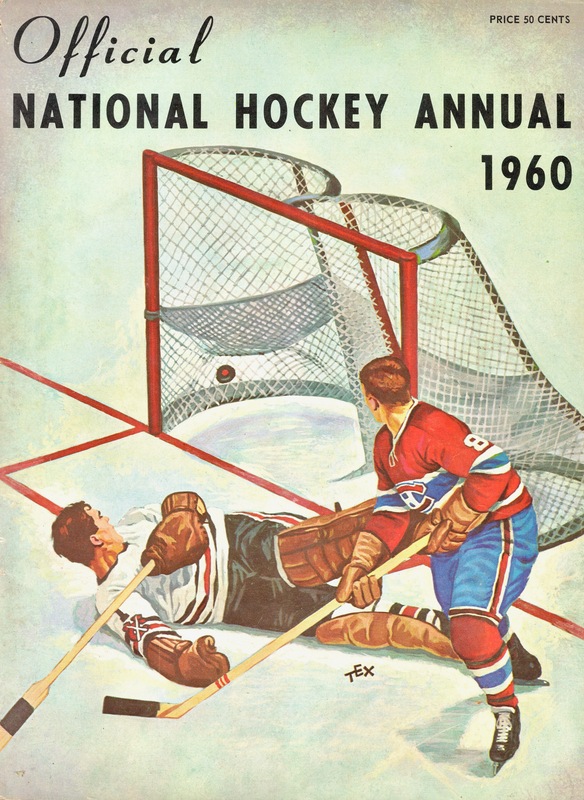 But of the more than 7,600 players, some 5,100 from Canada, to have skated in the NHL in the 100 years of its history, only about 80 have been of Indigenous heritage. Canada’s reckoning with its history with Indigenous peoples has been underway for years, reaching not just into the justice system and the resource sector, but across society. Within hockey, this has been both a season for celebrating the achievements of Indigenous players and one filled with reminders of the ongoing struggles they face — against racism, and for opportunity and recognition. Recent NHL success stories include Ethan Bear, 20, from Saskatchewan’s Ochapowace Cree Nation, who made his debut with the Edmonton Oilers in March. At the Winter Olympics in February in Pyeongchang, South Korea, Canada’s women’s hockey team featured two Indigenous players, Jocelyne Larocque, who’s Métis from Manitoba, and Brigette Lacquette, a member of the Cote Saulteaux First Nation in Saskatchewan. The game is thriving in Indigenous communities across the country, at the pond and pick-up level and through organized events like the annual National Aboriginal Hockey Championships for elite teenage players. In March, about 3,000 Indigenous youth players took part in the Little Native Hockey League in Mississauga, Ontario. “I think we as First Nations people are probably some of the biggest supporters of hockey across Canada,” said Reggie Leach, the NHL’s first Indigenous superstar who continues to work with young players on hockey and life skills. Leach, who is Ojibwe, spent 13 seasons in the NHL, mostly with the Philadelphia Flyers, winning a Stanley Cup in 1975. 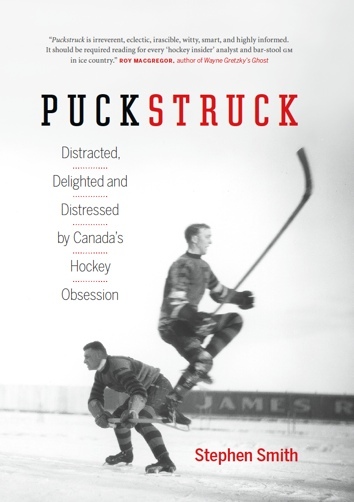 Still, the story of Indigenous hockey in Canada is one that has been shaped by familiar themes of geographical isolation and social marginalization. It also continues to be poisoned by racism. In May, a team of 13- and 14-year-old First Nations boys faced racial slurs at a tournament in Quebec City. Residential schools are knotted into the history, too. For more than a century through to 1996, the Canadian government made a policy of separating some 150,000 children from their families with the express purpose of indoctrinating them into a culture not their own — taking “the Indian out of the child,” in one early insidious formulation of what the schools were all about. The government has apologized and compensated survivors. Between 2008 and 2015, a Truth and Reconciliation Commission crossed Canada to hear their stories and investigate abuses. Among the findings in the commission’s final 2015 report is ample evidence of how sports, including hockey, could be a refuge for many children. But the report also explains how, especially in early years, some in authority looked to sports as an instrument of forced assimilation, just another means of “civilizing” students. Tracing the history of hockey’s Indigenous players, you can’t help but reflect on the ways in which narratives form, shift and settle, and on the stories that get told or don’t. While Indigenous players are scarcely seen in the annals of early hockey history, it’s also true that those in the business of recording the sport’s history have simply neglected or overlooked some of those who did make it to hockey’s highest levels. Henry Maracle is one of those whose story has been erased, one way and another. 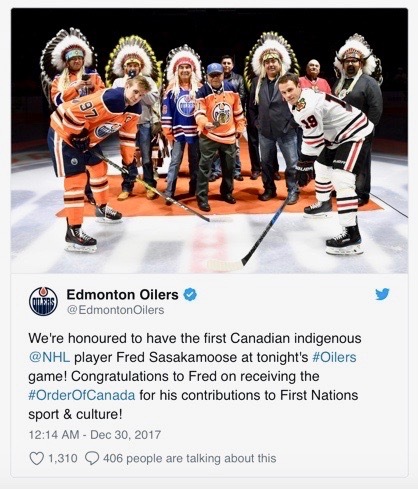 While Fred Sasakamoose is still often described as having been the NHL’s first Indigenous player — including by the league itself and in his Order-of-Canada citation — the evidence seems to increasingly contradict that distinction. Hockey teams in Canada started vying for the Stanley Cup in 1893, well before the NHL came into being in 1917. In 1901 and again in 1902, the Winnipeg Victorias won the Cup with a roster featuring three Métis stars, Tony Gingras and the brothers Rod and Magnus Flett. Toronto’s NHL lineup in 1918-19 may have included a Mohawk defenseman, Paul Jacobs. While league records show him playing a game in the league’s second season, it’s unclear whether he actually made it onto the ice. Taffy Abel, who had Chippewa background, was a member of the 1924 United States Olympic team and one of the earliest Americans to flourish in the N.H.L. Could he be counted as the league’s first Indigenous player? New York got its first N.H.L. team in 1925, the Americans, a year before the Rangers hit the ice. 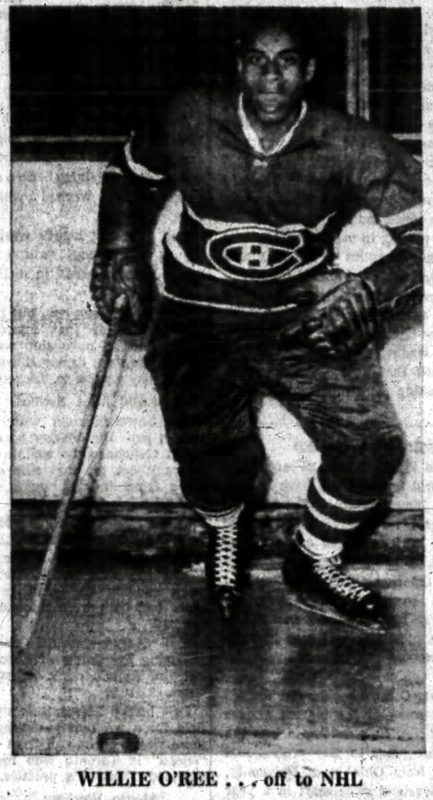 With an idea of adding an exotic accent to the Americans’ lineup, manager Tommy Gorman briefly pretended that a non-Indigenous Montreal-born center, Rene Boileau, was a Mohawk star by the name of Rainy Drinkwater. Tidings of Maracle’s 1931 call-up to the NHL caught the eye of newspaper editors across North America. While the N.H.L. seems strangely loath to acknowledge him, Maracle is slowly gaining wider recognition as the first Indigenous player in the league. Maracle, who died in 1958, was honoured this past June at a community ceremony in Ayr, Ontario, the small town where he was born. Maracle, who went by Buddy, was often, inevitably, called “Chief.” His NHL career lasted 15 games, yielding a goal and three assists. While he would thrive as a minor leaguer for years to come, that was all for Maracle in the NHL. In 1944, the Rangers called up an Indigenous defenseman, Jim Jamieson, whose background was Cayuga, from Six Nations First Nation in southwestern Ontario. He played a single game. 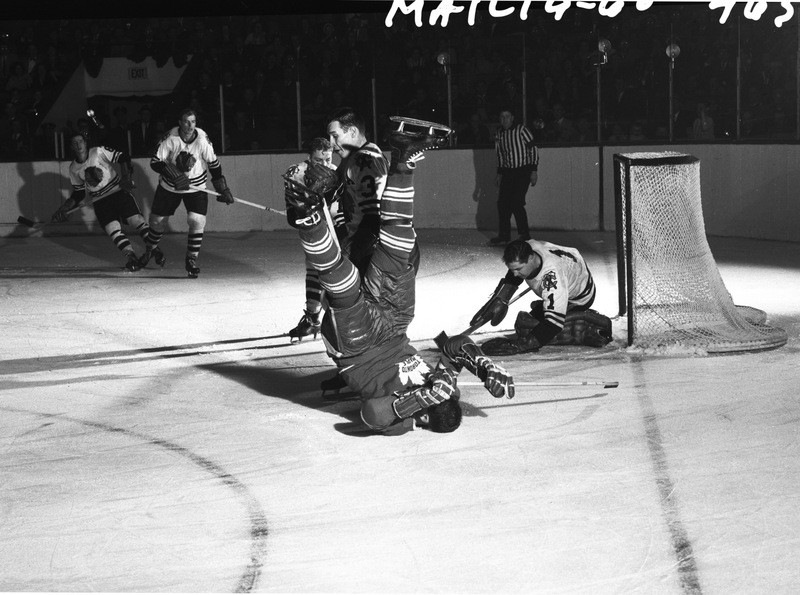 Maracle and Jamieson were already forgotten when Sasakamoose made his NHL debut in 1953. “Chief Running Deer,” the papers dubbed him; when he first skated out at Chicago Stadium, organist Al Melgard broke into “Indian Love Call.” Sasakamoose played 11 games that season and looked like he was in the league to stay. Until he decided he wasn’t. He laughs now, but the memory of homesickness remains raw. “For me,” Sasakamoose said, “I wanted to come home all the time. At the same time, Sasakamoose’s memory of those distant school years in the 1940s can still brighten as he describes learning to stickhandle, or recalls the team with which he won a provincial championship. 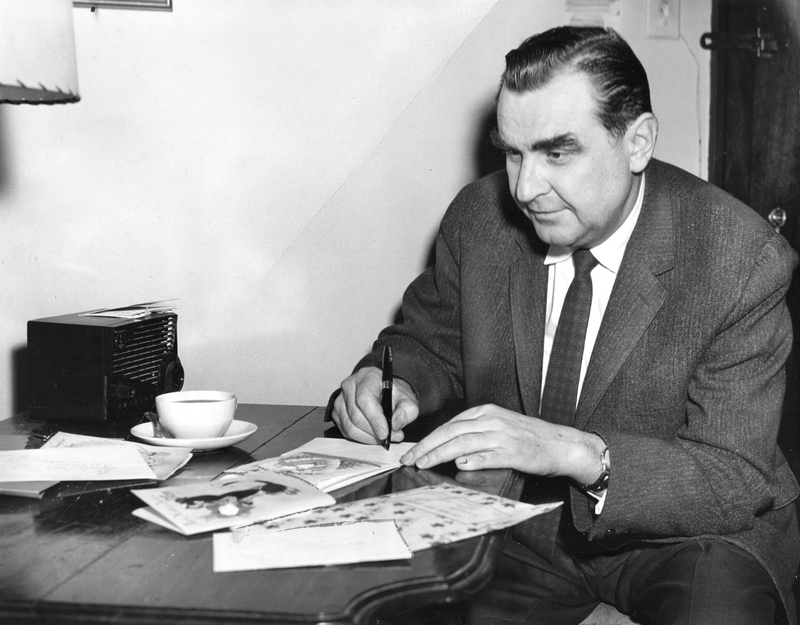 For many Canadians, Hewitt, the broadcaster whose signature phrase was a strident “He shoots, he scores!,” remains the original and eternal voice of hockey. 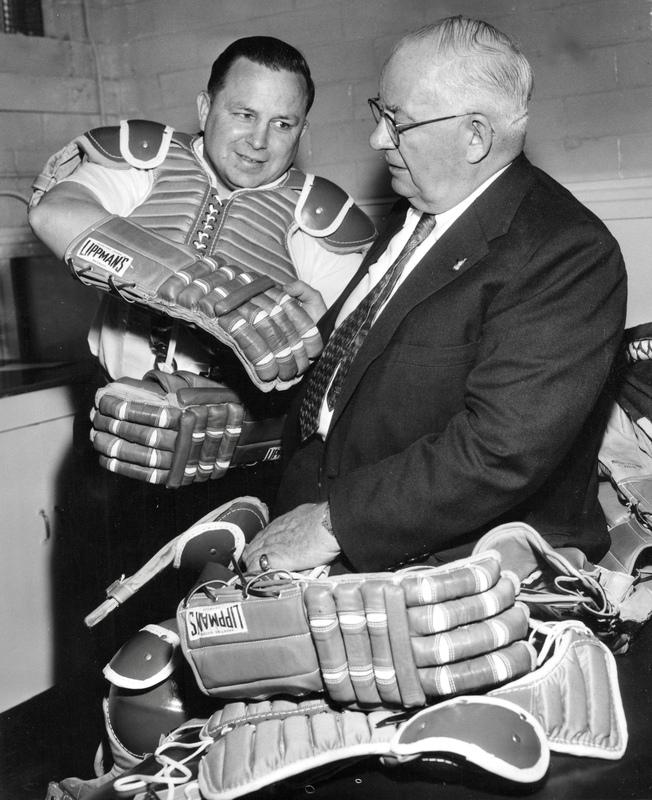 In 1953, when Sasakamoose played his first game at Toronto’s Maple Leafs Gardens, Hewitt descended from his broadcast booth: he wanted to meet the Chicago rookie — and to find out how to pronounce his name. He laughs now. When the time came to call the action, Hewitt never quite got it right.